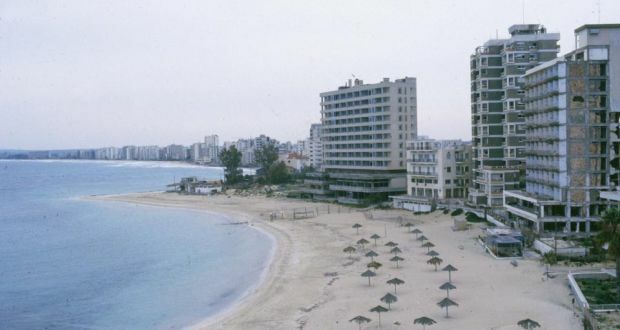 A fresh campaign to promote the so-called ‘Turkish Republic of Northern Cyprus’ as a tourist destination in London has sparked outrage among the UK capital’s Greek Cypriot community. Since 28 January and for one month posters advertising the illegal pseudo-state at the occupied northern part of Cyprus are displayed on dozens of London’s red buses, at 22 underground rail stations and at 25 selected spots around the city. The posters call upon Londoners to discover the culinary treats, the lively waterfront, the beaches, the ancient history, the sunshine and the hospitality of ‘Northern Cyprus’. As with previous such promotion campaigns, the High Commission of Cyprus in the UK has made representations to the mayor of London, who is ultimately in charge of the Transport for London (TfL) agency, the transport committee of the London council and TfL itself. Mayor Sadiq Khan has also received a letter by the President of the National Federation of Cypriots in the UK Christos Karaolis, in which he expresses the community’s dismay for allowing the promotion of areas and properties under illegal occupation by a foreign military force since 1974. Mr Karaolis notes that many UK nationals of Cypriot descent are the owners of such occupied property, without being able to exercise their rights with regard to it. He also reminds the mayor that the UK Government recognises the Republic of Cyprus as the sole legal state entity on the island. Mr Karaolis also makes reference to numerous UN and other international bodies’ resolutions about the occupied part of Cyprus. The choreography of formal complaints against the pseudo-state’s promotional campaigns in London is a well-rehearsed one. However, the Greek Cypriots in the UK are aware that their efforts to pressurise the authorities in charge to cancel the Turkish Cypriot campaign are unlikely to bear any fruit. The whole saga has been rather decisively defined by a London Appeals Court ruling in 2005, which overturned a first instance decision to cancel a similar promotional campaign.